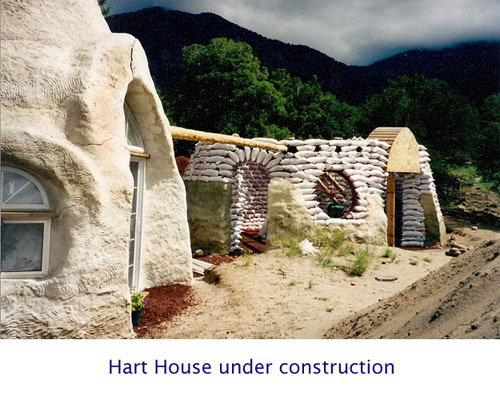 I am very pleased to announce that there is now an extensive slide show of earthbag building projects up at www.earthbagbuilding.com. I spent several days selecting the best photos that I could find and formatting them to fluidly present a marvelous array of architectural styles and approaches to building with earthbags. There are already over sixty images assembled, and I expect to continue to enlarge the library over time. The pictures are labeled so that if any of them attract further attention, the more detailed description of the project can be found on the projects page. The pace of the slide show is controlled by the viewer by clicking on arrow buttons below the images, so one can browse as casually as one likes. This is a great way to become familiar with some of what is being created with earthbags. The photos depict both works in progress and completed projects.